That's cool with me, merging the two threads is a good idea. inclusive and rather exclusive evidence. I am certainly surprised to see me around as long as this has gone on. Unable to come up with solid evidence to exclude Jack has been my main motivation for staying involved. Hoping that evidence or the FBI or someone for god's sake would show that Jack could never have been involved, but the handwriting and Jack's belongings say otherwise. In fact, the evidence has supported that he could be so much more than even I know. To think this could be the tip of the iceberg and that there can be even more in other locations is a scary thought. Solving just these cross connected crimes would literally undermine the entire government system of law enforcement thus seeing any of these crimes come to a close will probably not happen in my lifetime. One thing is for sure, the media is ran by the same underground system and people that Jack worked for, so there is little to no chance that even a report of the truth can get out there which explains the homecoming Dennis has received when compared to the likes of the BS Debra Perez was trying pull off. I'll tell you what Nanette. From time to time I give some of my smarter associates an update, like the Cooper caper stuff. I was fighting my laser printer on paper jams and I grabbed and printed the anthrax Howard Troxler, St Petersburg Times anthrax letter and the 1243 Trenton/Trentn(sic) letters and when I was sorting them out I was struck by how well they compared. Then add the Trenton clue....and wow! My friends made note of it right away. 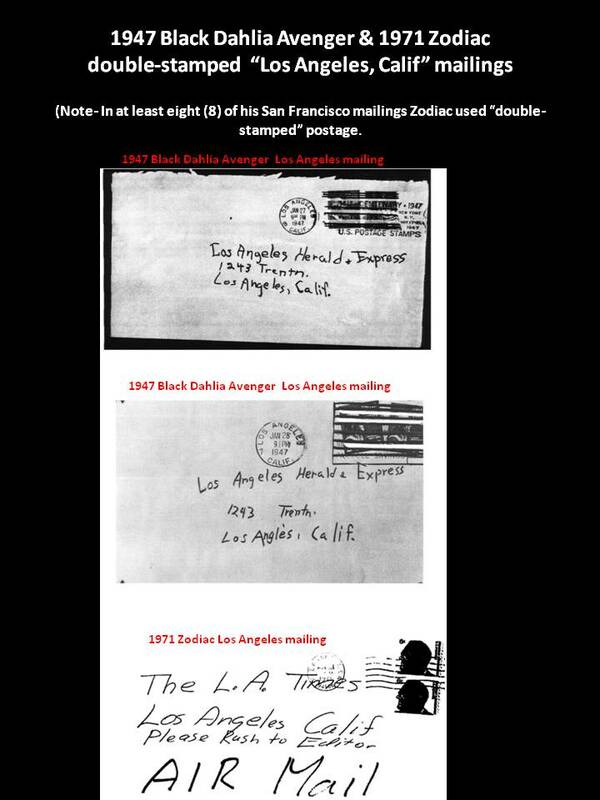 This one compared to the ones that Hodel showed in his comparisons between Black Dahlia and Zodiac Killer envelopes. 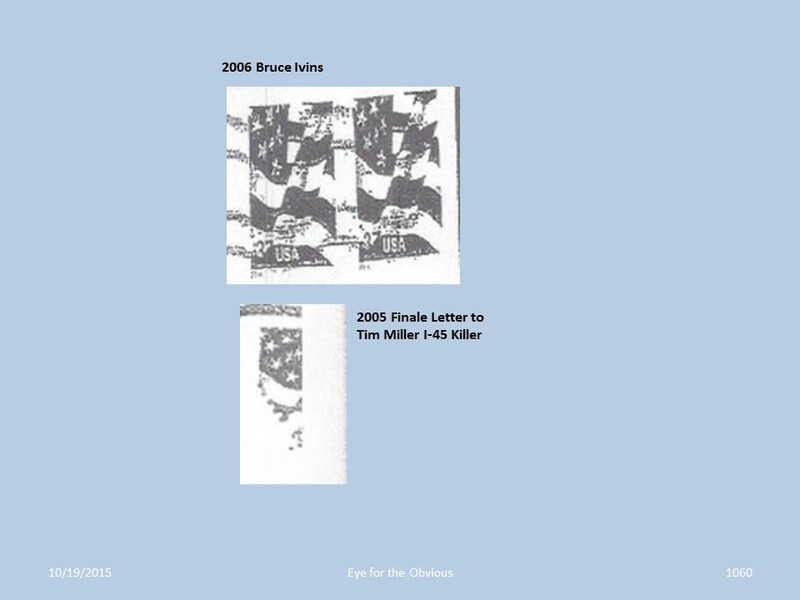 Now cross connect that to the letter sent to Bruce Ivins in 4-11-2006. The "Hello" cross connects to the Scorpion letters to John Walsh that also say "Hi its Me" and refers to victims in New Jersey. The need to say hello in writing! and the suspect refers to the postmark which is also Trenton, NJ. Whalla!!! Hi Nanette, I just read your revised time line thread. I have a couple of suggestions: 1) Don't forget to indicate the Trenton postmark in the anthrax attack section, this is, as you now know; a part of a "circle of evidence" 2) I would announce and emphasis that new details and upgrades will be ongoing in your timeline. Otherwise, your timeline is great work! It's exactly what's needed. I didn't look for the Jacob Wetterling subject. Since the description of the perp fits Jack, you may wanna include his name and date, etc? Maybe it's in there and I missed it? Wow, oh yeah, I forgot about the cryptic remark: "Enjoy the postmark" hahahaha! Right on! It's truly good to organize this stuff. It is an amazing feet to remember what I have up in my head and all the different nuances that I have to remember to cross connect, and with each new communication there is another aspect to go back and emphasize. I have not completed the examination on the Bruce Ivins letter yet, but I thought I would throw it out there for Trenton's sake. It will become part of the timeline as I get through the communications and the nuances will be notated. Also, I notated in the thread name on the timeline that it is a revisable topic as new evidence emerges. I have no information about Jacob Wetterling, but I will check to see what you mean. Hi Nanette, another little footnote here: I've wondered why he skipped the o in Trenton on the Black Dahlia envelopes. If you examine them the way that I have on several documents, you'll see that they're his initials, JT, and very similar to the way he incorporated his initials on the Red Phantom, hell hole writings. 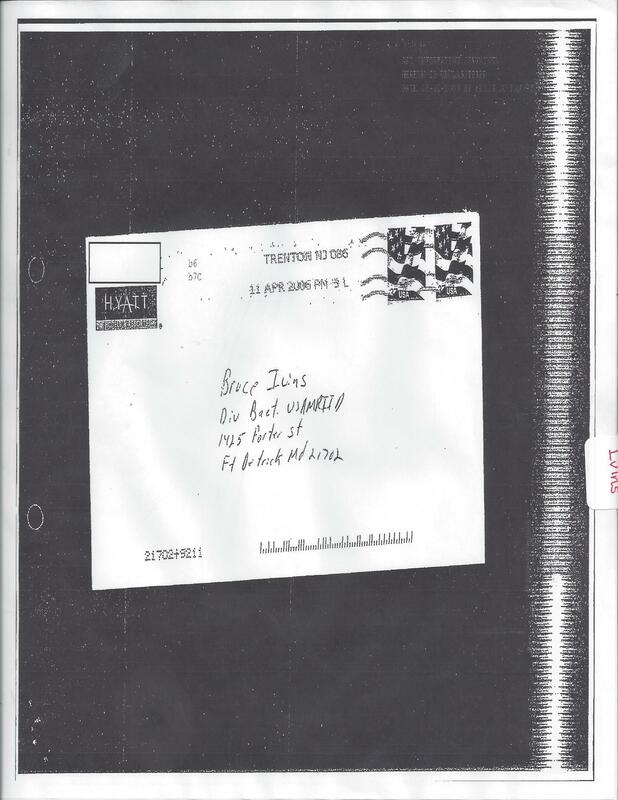 I believe that these clues directly tie back to who Jack is and has been calling out... To mail USAMRIID with a taunting greeting card addressed to Bruce Ivins when I am sure that he is just the vehicle for getting his message across. Like many cases where the Zodiac let them know they have the wrong suspect but law enforcement continued their rampage at the cost of very innocent people. Indeed, a clearer picture continues to come in to focus. Hi Nanette, it turns out that were not the only people that think the Trenton thing might have been inspired Lindbergh kidnapping case. It seems to me that there's also one or more Zodiac killer document with the intentionally misspelled Trentn (sic) in the address box? Well, I don't recall ever making any claim to the Trenton usage and the Lindbergh case, TerryB. I personally do not know much about the Lindbergh case other than he had an outing with Hearst and his child ended up abducted which ties into things like Walsh, Miller, Degnan, Klass, Jon Benet Ramsey, King, and more I am sure I will find as I research the unsolved murders. These very specifically targeted people are kept under control. Bear in mind Nanette that when I'm posting something in response to you, that I'm also doing so for the benefit of other people that are reading these things and that in no way do I ever mean to be condescending. The significance of a "Trenton" hint could go in perhaps three different directions. 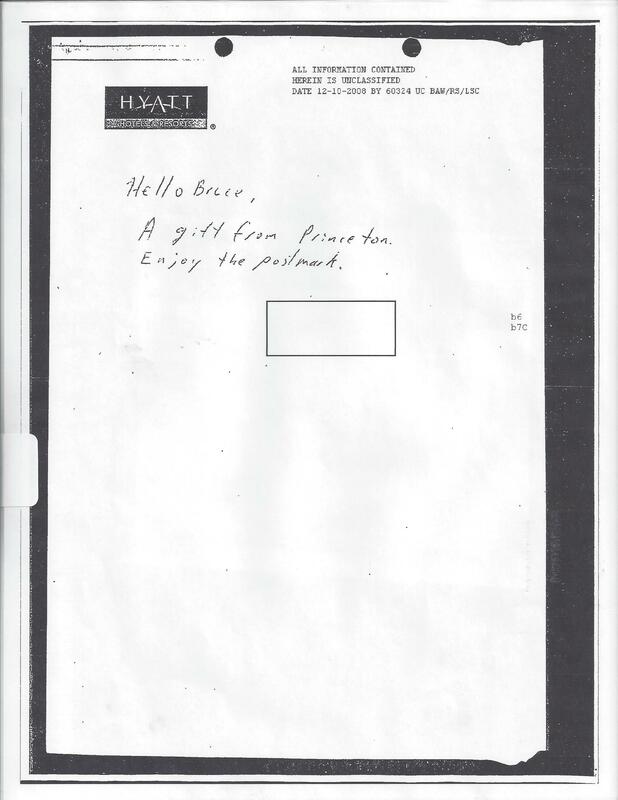 In the Lindbergh case, there's handwriting evidence that the author of the ransom notes was Bruno Hauptman, a German national with possible ties to the Nazi party. As you probably know, Hauptman was tried, convicted and executed for the crime, even though there was evidence that he had an accomplice. On the letters sent in the J in NJ (New Jersey) had a backwards stem and probably simply because he might have been dyslectic. This then might have been the inspiration for the backwards stems we see on case documents linked to Zodiac Jack. Here's another possible or additional angle as to what Zodiac Jack might have been trying to hint: If you view, for example, the Ramsey case as having been initiated by a 'foreign faction', like perhaps the Illuminati, or Serco, or the vestiges of the old East India company, Rothschild's money or what have you, then the hint may be in the direction of the Canadian CFB Trenton air force base.(?) CFB Trenton was the base at which convicted sadistic serial killer Col Russell Williams was formerly stationed. He had a security clearance to fly the Queen of England too. My friends at Abeldanger suspect that he might have been involved in the actual execution of the Ramsey girl. However, if I've read their statements correctly, they offer other angles on how the Ramsey crime was carried out and by whom, such as a pair of Lesbians that were into hybistrophilia. The third possible or additional hint may simply be the address of the Herald newspaper in California? Here's a tangent of reasoning that probably applies to the Ramsey case with regard to the actual execution of the Ramsey girl: Since we know that Nancy Krebs and John Mark Karr both tried hard to reinforce the false notion that she died accidentally, yet the evidence says that the murder was no accident nor did it stem from an accident: We then must look to their motives for saying what they did. What we must realize about the Ramsey crime is that the people behind it have been attempting to sway the thinking of the average person into having the word or term "accident" programmed into their heads. This is an important concept to understand, because once a notion has been in a person's head for extended period of time, it becomes ingrained and it will then sway the thinking of the average person. This also shows us that the Ramsey crime was much more sophisticated than the average serial killing. Look at how sophisticated the noose handle was made. Consider the fact that the crime scene really had far too much evidence left behind and screwy evidence too. Look at the dichotomy of ransom note itself, look at the things that I've discovered and pointed out. 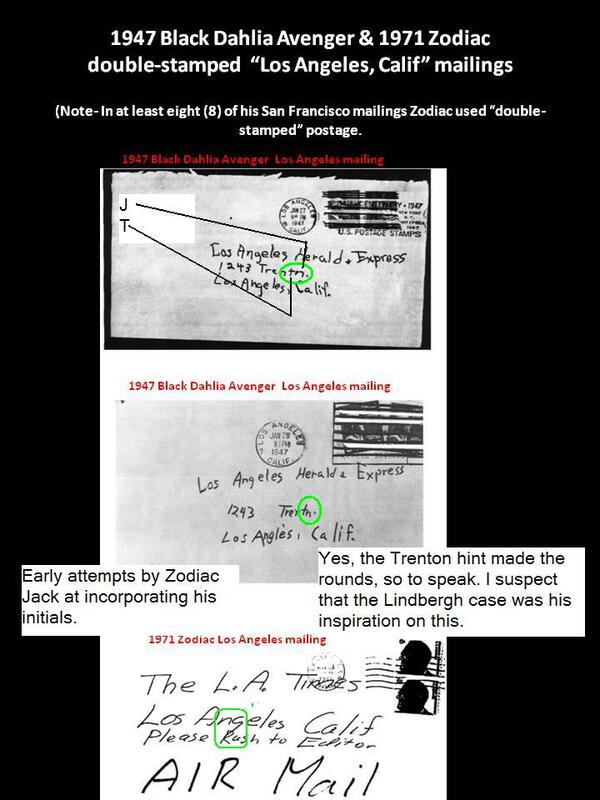 I view the dichotomy of evidence of the ransom note as having been one of Zodiac Jack's strongest and most truthful hints. This was one of the things that caused me to state to you that I thought that Jack was attempting to "squeal" on his associates. Perhaps I could have found a better term than to describe it as "squealing". Add this to the last paragraph too: The whole set up of the crime would have the average person believe that the killer(s) spent an extensive period of time with the victim and for that very reason, I believe otherwise....except for the bugaboo, as Lou Smit called it; regarding the pineapple evidence. Let me offer this hypothesis about that same evidence: What if the the killer(s) pumped the poorly chewed pineapple into the victims stomach postmortem? Perhaps tests of that evidence should be made with that line reasoning in mind?